Cornerstone Health Centre | Good health is contagious! Cornerstone bridges the gap between natural and conventional health care. Whether you choose to see our Naturopathic Doctor, Chiropractor, Osteopathic Manual Practitioner, Psychotherapist or Massage Therapist, all of our providers work cooperatively with your existing health care team. the root cause of your health problems. You care about your health and know that it has a direct impact on your quality of life. Symptoms are expressions of the body’s natural attempt to heal, and each person requires unique and individualized care. Your nutritional status, lifestyle, family history, feelings, environmental stresses, and physical health are all contributors to your well-being as a person. You’ve got a lot going on in your life, and emotional health is just as important as physical health. Psychotherapy gives the space and time to work through personal challenges like relationships, grief, anxiety, in a confidential, supportive and objective environment. Whether you need a moment of relaxation, reduce muscle tension or attain relief from chronic pain, a therapeutic massage, realignment, acupuncture, osteopathic manual practitioner or electrodermal screening can help restore balance to your body and mind. Cornerstone is Georgetown’s only ecologically built health centre. 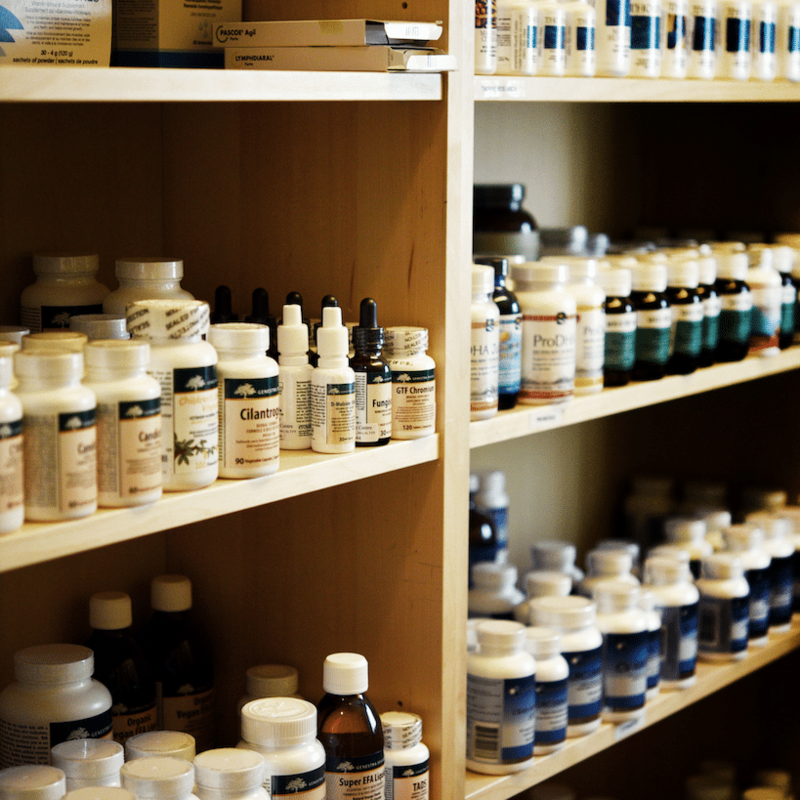 We feature a fully stocked dispensary with professional-grade supplements, herbal medicines and vitamins. 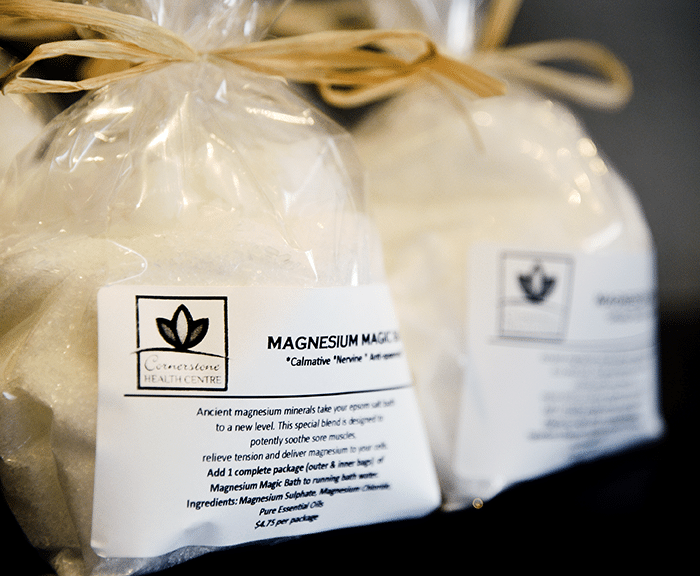 Our gallery includes unique organic items designed to support your good health. *Fees can be viewed by clicking on ‘BOOK AN APPOINTMENT’.